it formed a rough cube. Then he took out his begging bowl, turned it upside down, and put it on top of the cube. He instructed his disciples to keep his ashes in 8 of these stupas to commemorate his 8 Great Deeds. Stupas are places where the energy of the Buddhas is allabiding; physical embodiments of the Enlightened Minds of the Buddhas, the perfection and balance of compassion and wisdom. 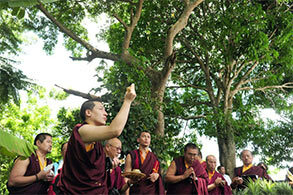 They represent victory over suffering and ignorance. 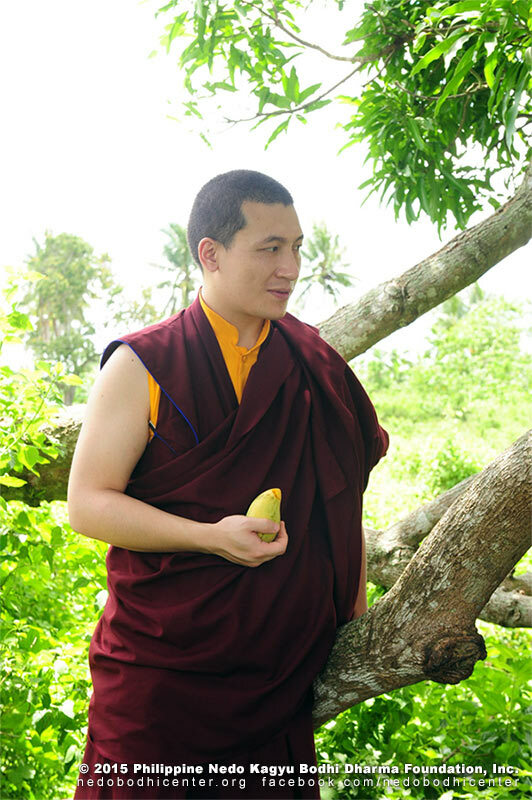 They are roadmaps to Enlightenment, with each part symbolizing the different elements and their relationship to the enlightened mind, the different teachings of the Buddhas, and the different steps on the path to Enlightenment. 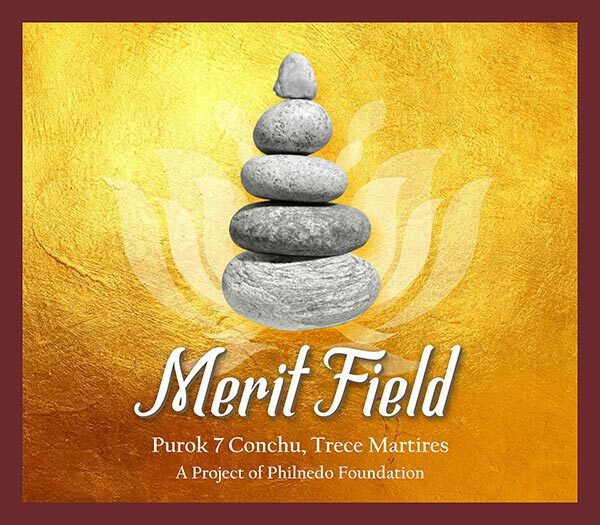 The Philippine Nedo Foundation has long aspired to put up a stupa for the benefit of the whole country and all sentient beings. This dream has always been in the heart of Ven. Nedo Rinpoche, who always knew and believed that having a stupa in the Philippines would greatly help alleviate the suffering of all beings in the country and the whole world. 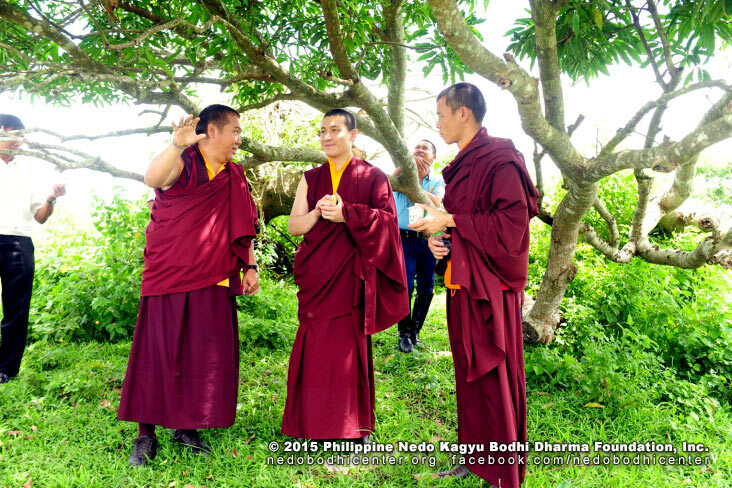 Rinpoche's dream is now shared by the lamas, officers, and members of the foundation as well as all the other devotees, practitioners, and the lay sangha in the Philippines. 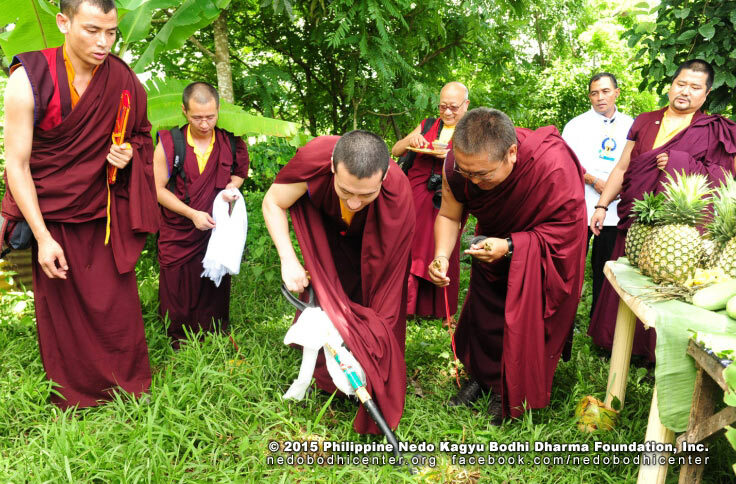 During Karmapa's visit to the Philippines in 2012, His Holiness visited the prospective site for the stupa. He approved the location and told Nedo Rinpoce to go ahead and purchase the land. 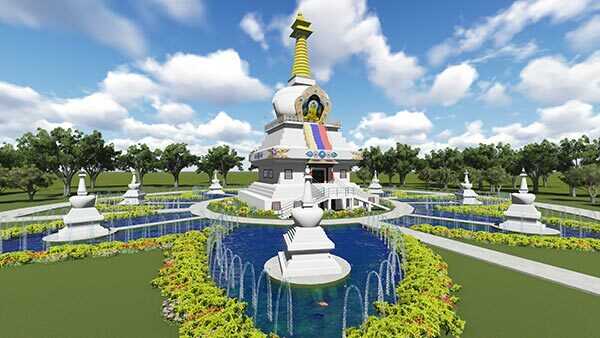 On the day of Kutampa, the birthday of Buddha Sakyamuni, in the month of Sagadawa in 2014, a pledge was made to buy the land for the stupa project. 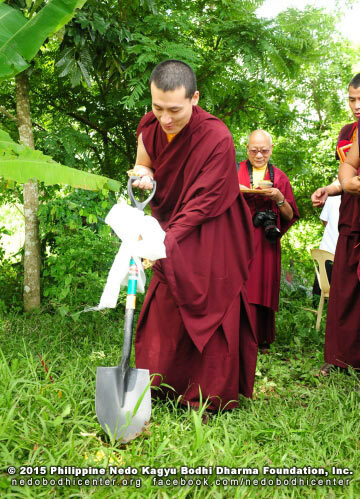 This year, a group from the foundation went to Sikkim to pay tribute to its founder, Lama Choyeng Dundrup, and to offer the contract for the land purchase to Nedo Rinpoche. 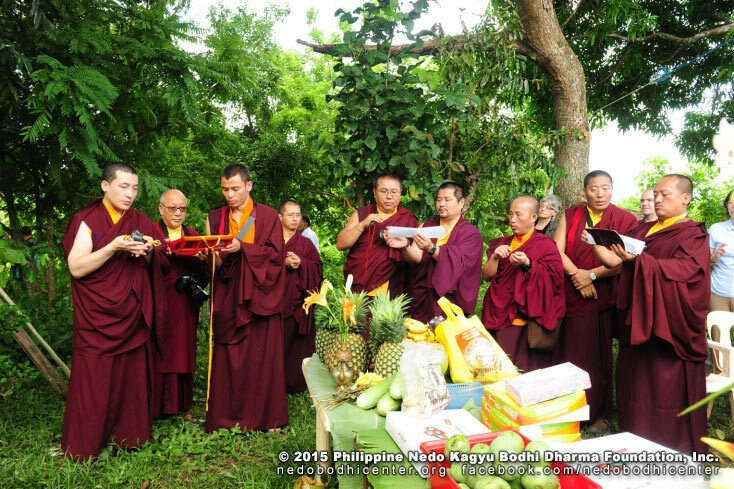 Rinpoche, accepting the offering, joyfully declared that the project for the Lhabab Chorten in the Philippines had finally begun.